Our Tubex Vinegro Double-Wall Grow Tube is designed to be the most versatile product on the market. The twin wall open construction has large pre-punched holes that allow for easy installation and adapt to the widest number of trellis systems. 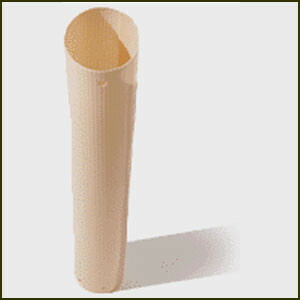 Tubes open on one side for ease in application and removal. Double-wall, strong, flexible, and lightweight design provides outstanding structural integrity to protect your vines and make them easily accessible for inspection and pruning. Band-aid colored polypropylene, 3.5 inches OD, re-usable. Holes at top, bottom (and middle in 30″ & 36″). Fasten closed with standard staples, tying through the holes. Comes in four sizes – 18″, 24″, 30″ and 36″. Price breaks at 300=7%, 1,000=10%, and 3,000=13%. Packed in bags of 100 (18″ tubes are in bags of 200). Not necessary to order full bags, order what you need.